Keeping the interior of your property clean is a top priority for most property owners but the exterior has a habit of falling to the wayside. The exterior walls and areas of your property are constantly at risk of staining and build up. 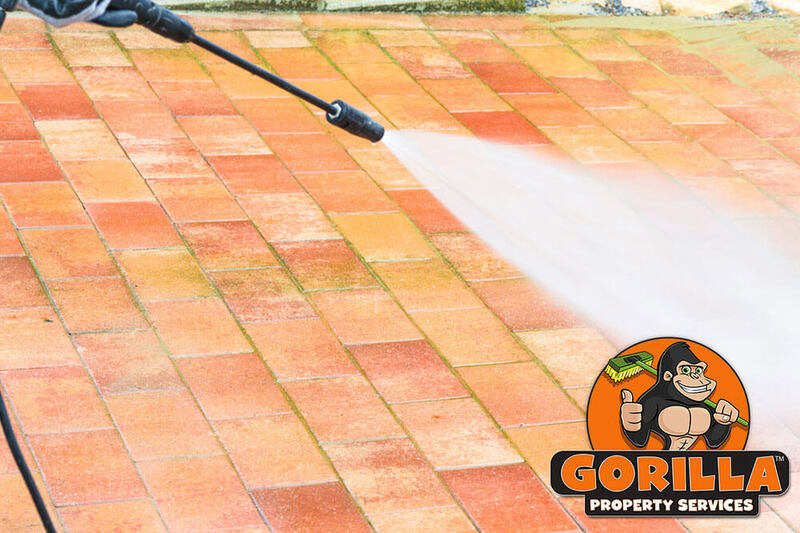 When you want your property to look as good as possible, call in a Gorilla for your Milton pressure washing. There really is never a bad time to give your home or business a face lift, but we suggest a semi-annual Milton pressure washing. By having our Gorillas clear off the exterior spaces of your property twice a year, you can get the jump on stains, discolouration and growth. If a proper Milton pressure washing has not been a part of your routine to date, that’s alright! The property maintenance specialists at Gorilla know how to undo years of damage with our tried, tested and true techniques. By addressing stains and discolourations around your property in a multi-step process, our Gorillas are able to achieve expert results, every time. The first step to any successful property maintenance service is assessment. For example, handling organic staining or growth such as algae requires different techniques than paint stains or spills. Once our Gorillas have an idea of what they are dealing with, cleaning your property is a snap. Stains around your property are either found at the surface level or are ground into construction materials. Whatever the case may be, our Gorillas are ready for it. By first treating the stain with an eco-friendly cleaner, surface stains are raised and pushed away with our Gorilla brushes. Once this is done, we fire up the pressure washers to remove every trace of staining.